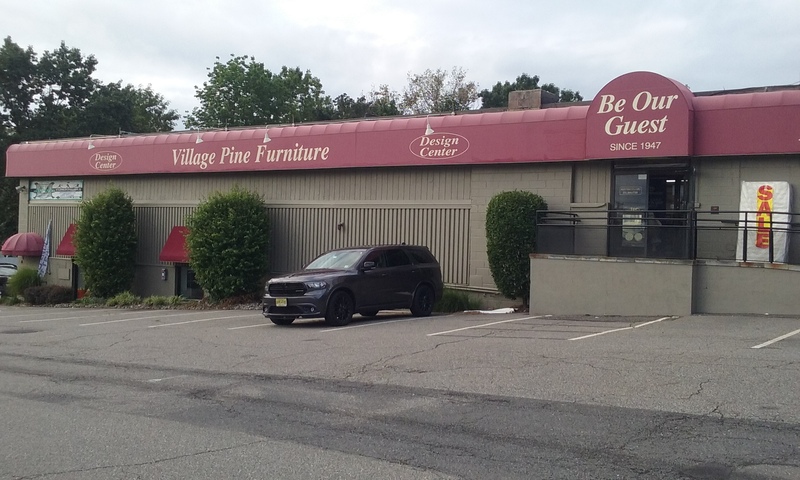 Village Pine Furniture – We're not just pine! Not only do we sell quality factory built, real wood furniture of various species, but we also make custom pieces that will suit any room in your home. Visit our store and see our extensive line of furniture and cabinetry for yourself. Our spray shop can restore your favorite piece to its original grandeur or give it some new flair. Come and see what options we have available. We have an in-store selection of the most popular brands in North America. Stop by and we’ll be happy to help you find the right mattress for your personal needs. We carry a full line of custom furniture that is made to your specifications, complete with custom finishes. Come see what we have available! Whether you prefer stain or paint, we can bring your furniture back to life. Pay us a visit to see available options. We’re not just furniture! We have a great selection of quality, name brand mattresses as well. Come check them out! Receive $125.00 off the purchase of any new quality, name brand mattress of $899.00 or more. Have mattress or furniture questions? Our knowledgeable staff is at your disposal to answer any questions you might have. Be it bedding, furniture or finishes we have the answers you need.